Every year, a new nail blogger comes on the scene and makes waves. 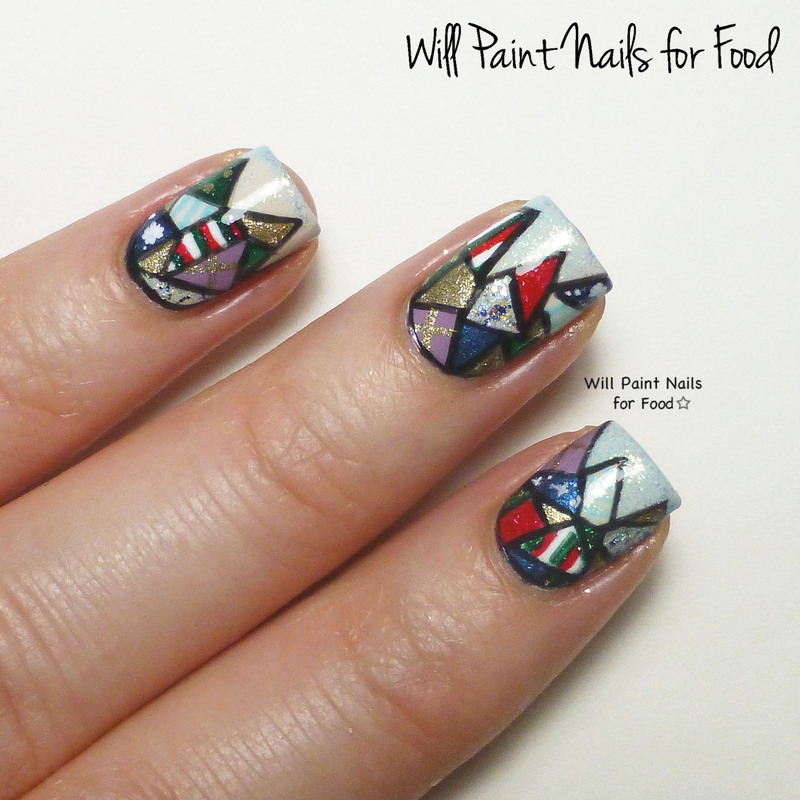 Meghan from Will Paint Nails for Food is THAT blogger this year. She started quietly in December of 2012 and quickly became one of my new favorites. While we didn't get to do a Digit-al Dozen Challenge together before I stepped down from the group. I did get a chance to get to know her a little. In addition to great nails, she's a smarty...currently working on her PhD. Her thoughtful nail art, beautiful hands and pretty poses put her at the top of my list for this series. Thank you, Meghan, for participating! For Meghan's beautiful work, I'll be donating another $10 to the Polished Girlz bringing the total to $50 already! If this is the first post you've read in the WPP "Blogging for a Cause" Guest Post Series...pop over to the intro post here to see what an amazing organization each of these bloggers are supporting with their participation. Hi everyone! 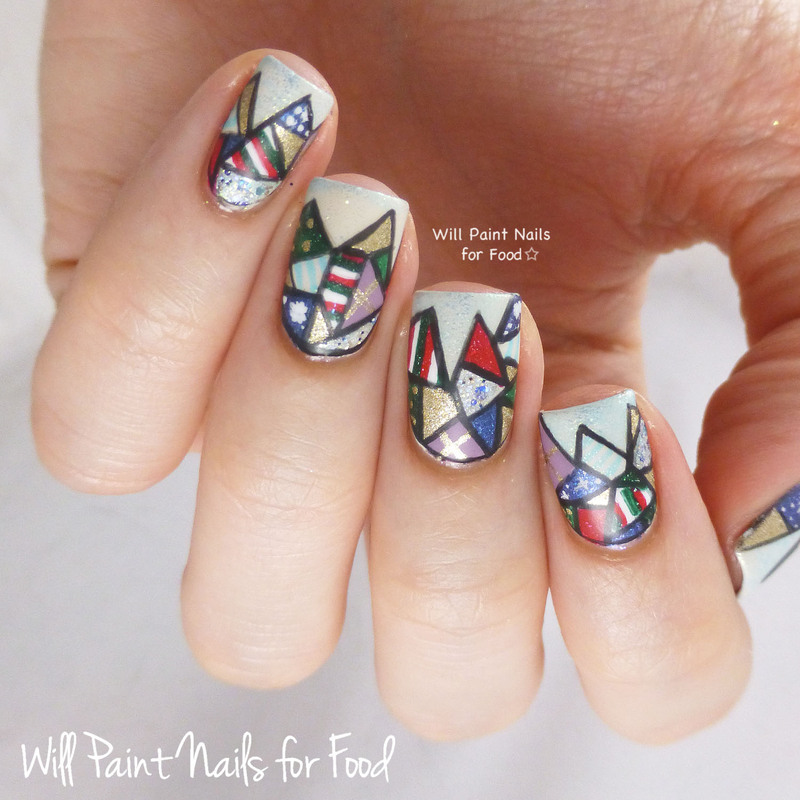 My name is Meghan and I have a blog called Will Paint Nails for Food, which is just over a year old. 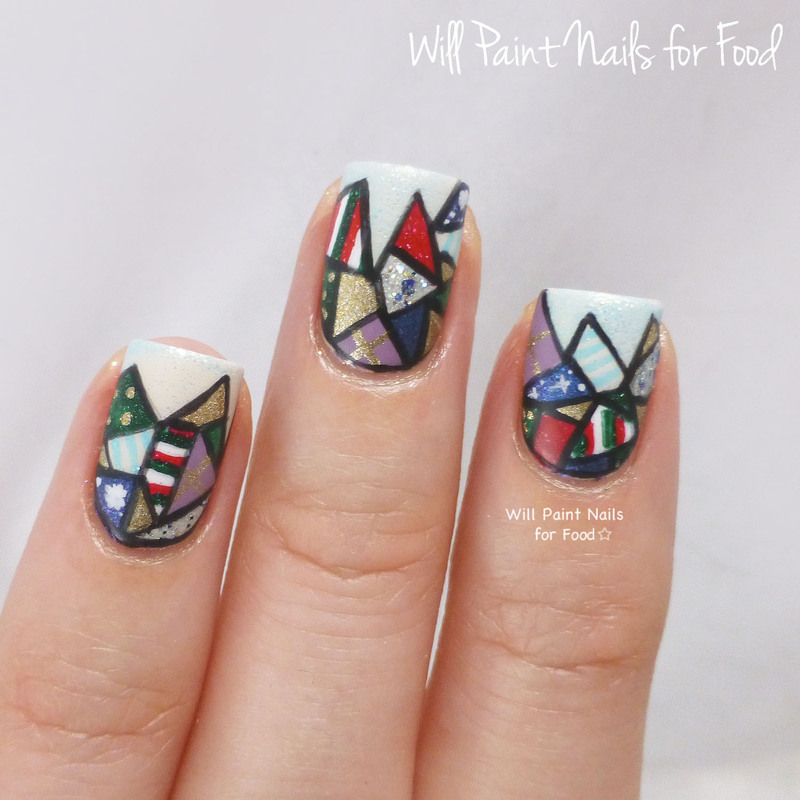 Before I get into my nail art that I did, I just want to thank Leslie for inviting me to do this guest blog post. I’ve been following her blog for many months now and I’m always in awe of her flawless swatches and nail art, so it was a bit intimidating to put together this post. About this design: I will be honest, I had absolutely no clue what I was going to do for this post until the day I had to send it to Leslie. Should I do snowflakes, or ornaments, or should I just put some glitter on my nails and call it a day? Then I thought, “Hey, I can just do it all!” And that’s how this mosaic design came to be. In each of the little spaces is something different. Some have plain colours, some have glitter, while others have teeny tiny snowflakes, dots or stripes. Some of the spaces are more successful than others - the tiny snowflakes just look like dots, for example. But I love the overall look nonetheless. 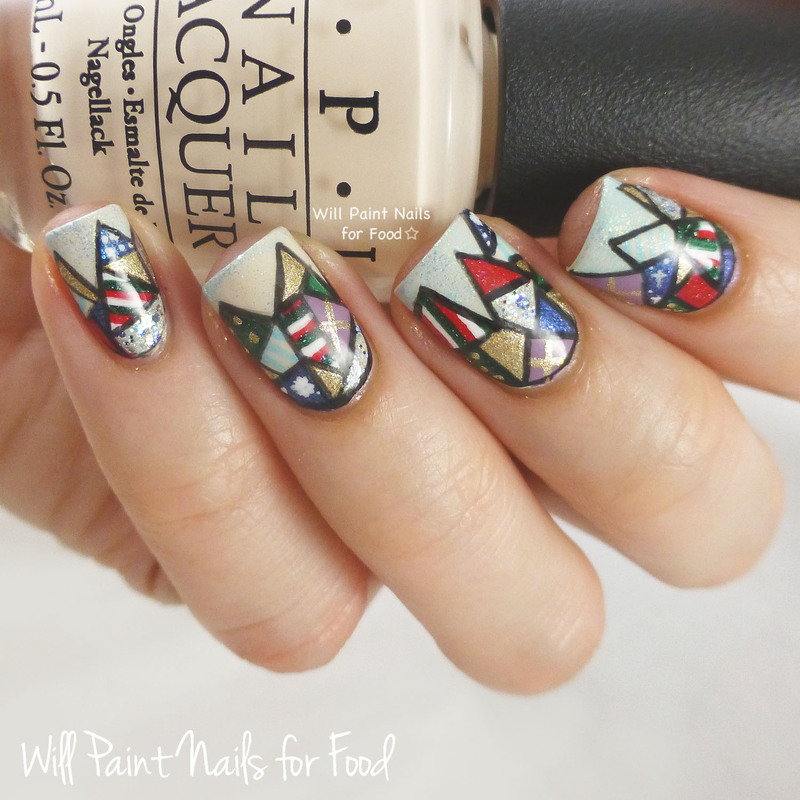 Instead of covering up the entire nail with the mosaic design, I left the tips as the base colour. I wanted the fractured edge to have a spiky look, like the tips of my nails had abstract icicles hanging from them. I don’t know if anyone would get that, but I love how that part turned out. After I had filled in all the shapes, I went over my lines again with black polish and the same liner brush. I topped it off with KBShimmer Clearly On Top. For some of these photos I also used Cult Nails Wax That. It was my first time trying Wax That and I really enjoyed the effect. I don’t know if this design screams holidays, but I hope it has a festive vibe. 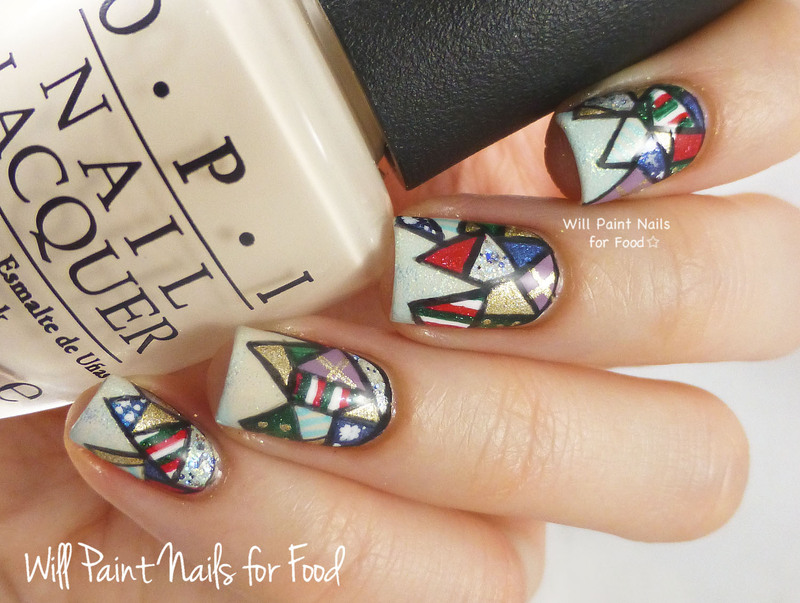 I love mosaic designs so it was fun to combine this with a holiday look. Thanks everyone for checking out my nail art, and thanks again Leslie for having me here! Get to know Meghan by visiting her everywhere on the web!